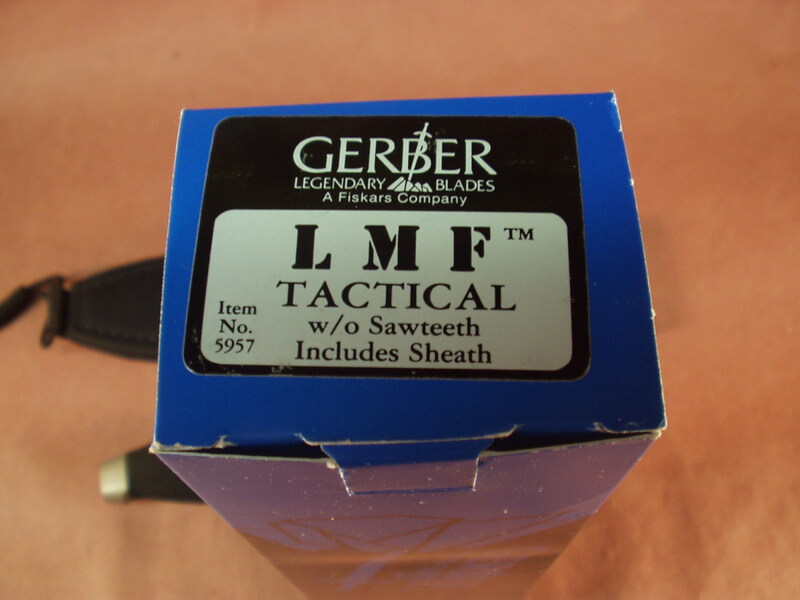 As part of our large Gerber Collection we just acquired we are offering up a Gerber LMF W.O. 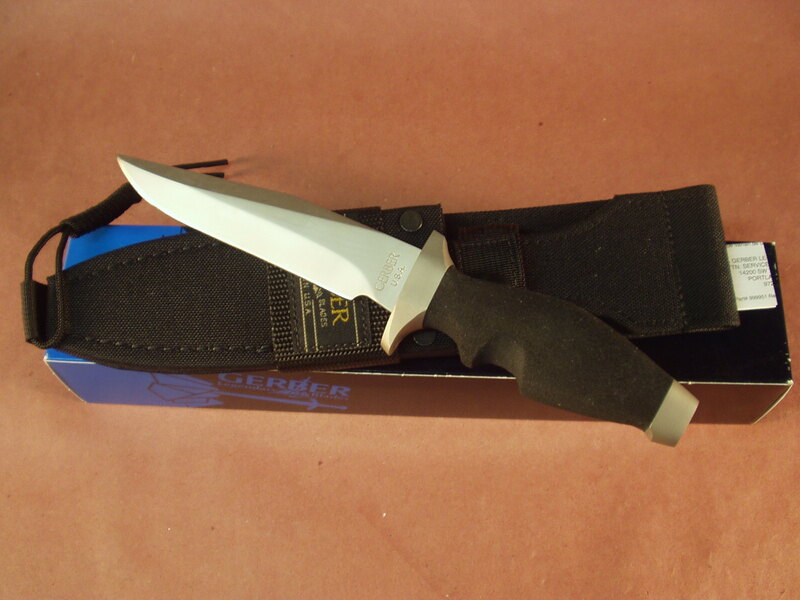 /Sawteeth Knife. 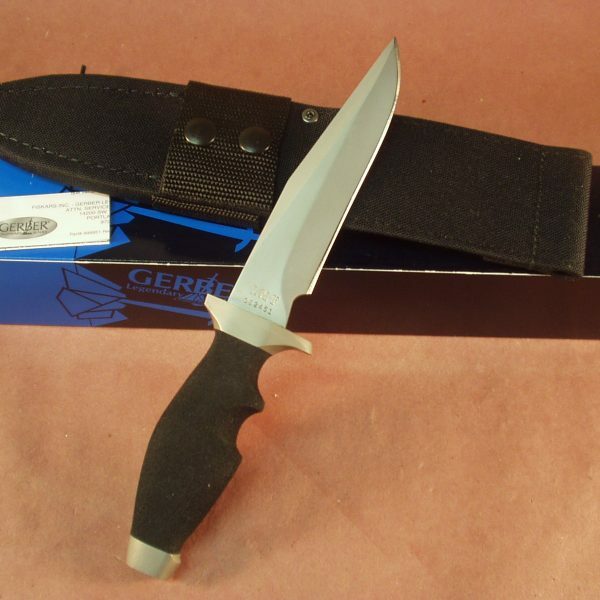 Gerber Produced this knife Item #5957 from 1988 through the mid 1990. 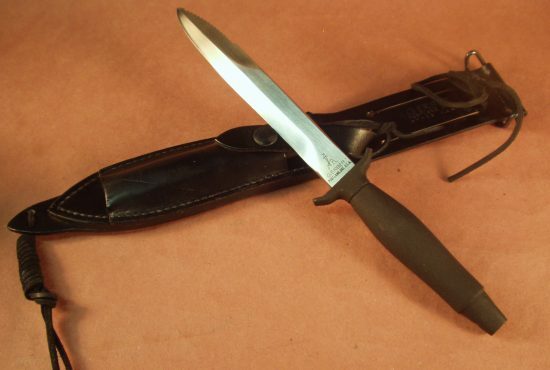 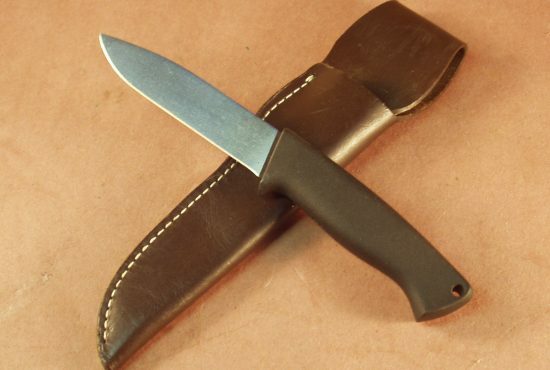 The knife has never been used, sharpened or carried and has been stored outside the sheath. 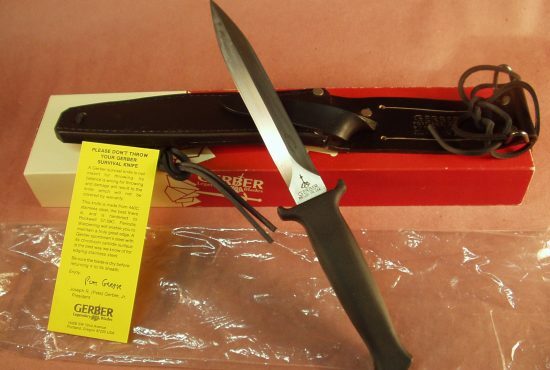 The like the knife is in MINT condition which is rare for these boxes as they are very thinly constructed. 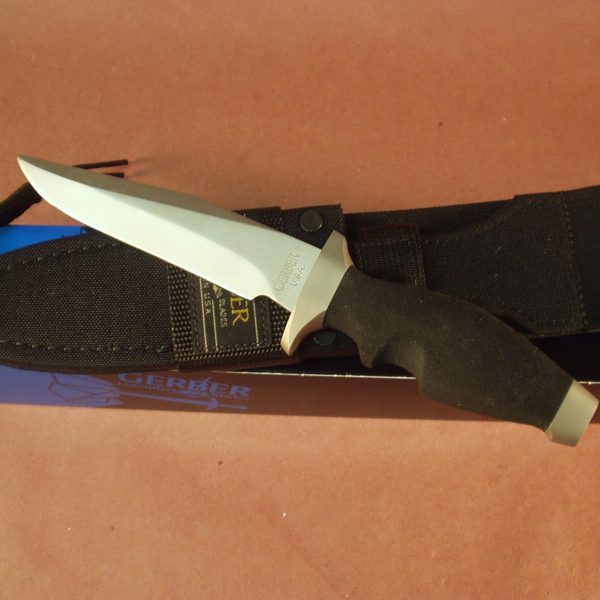 Serial #052416. 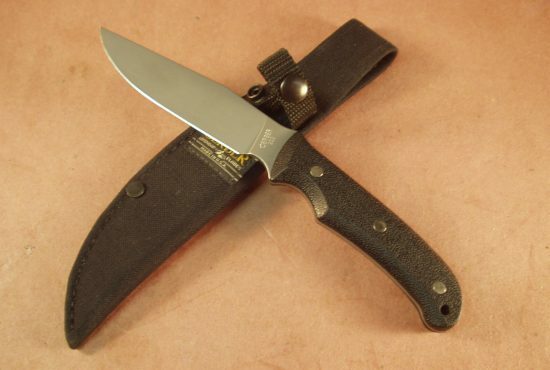 The vintage LMF knives were discontinued years ago and replaced by a remake of the LMF. 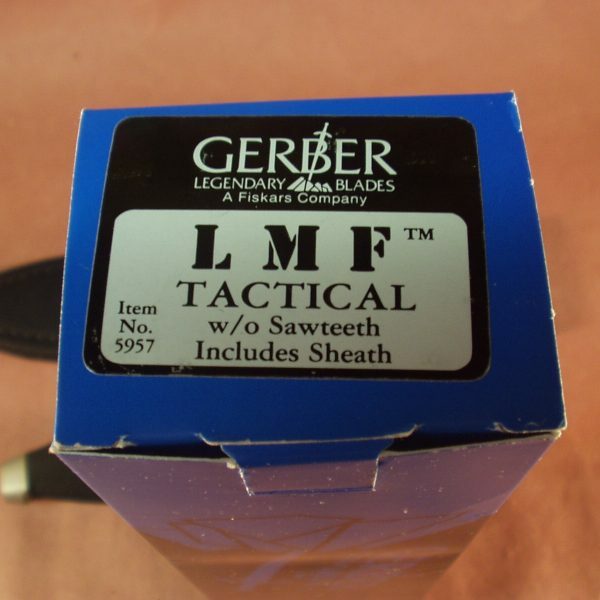 Unfortunately the quality of the new knives do not come close in quality comparison to the LMF’s made in the mid 80’s – 90’s. 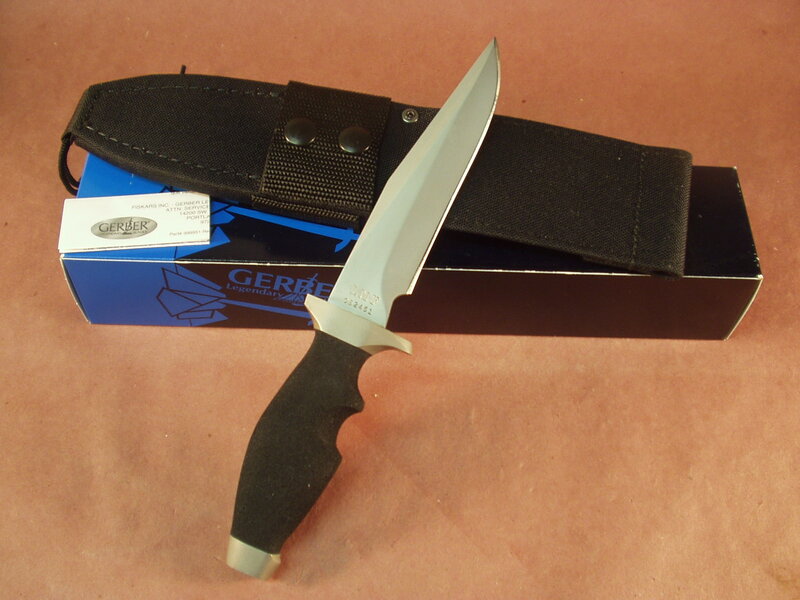 If you need one of these for your collection this would be a great choice as all you see here, knife, sheath and box are all in MINT condition our like Gerber used to say – We make knives to use.